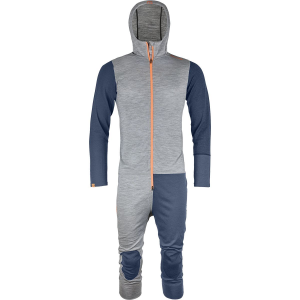 Whether you're relaxing by the fire after a cold day on the mountain or in the middle of a memorable powder run, the Ortovox Men's Rock'N'Wool Overall will keep you covered in plush comfort. Its merino wool material regulates body temperature, manages moisture, and resists odors, making it the ideal baselayer for any winter pursuit. Plus, it looks pretty killer when you're lounging around the ski lodge or yurt.